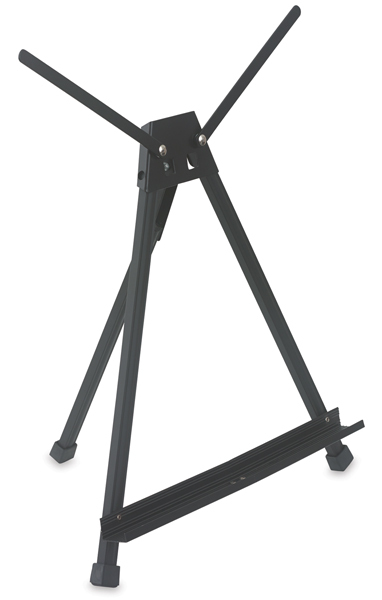 This aluminum tabletop easel is lightweight, compact, and very portable. Equipped with adjustable "wings", it can support boards or pads up to 22". Great for sketching anywhere and everywhere. The Metal Table Sketching Easel measures 22"H × 14"W × 14"D overall. The shelf measures 14" wide.